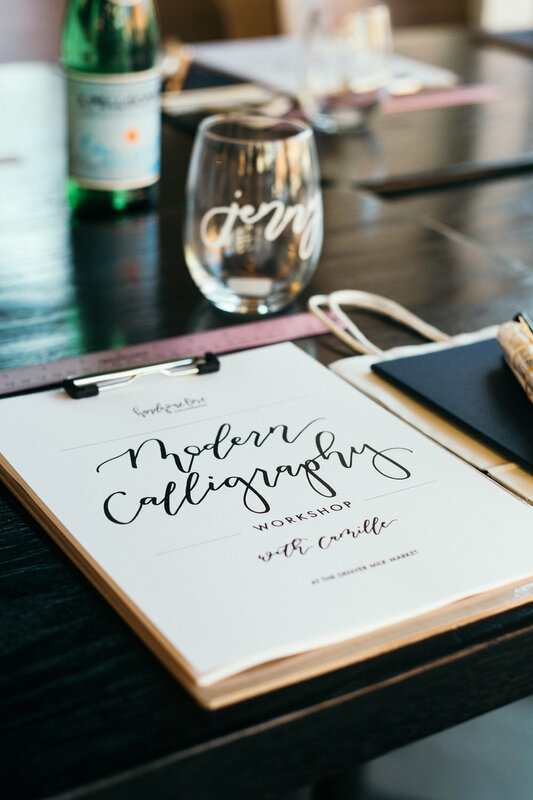 WE’D LOVE TO SEE YOUR BEAUTIFUL FACE AT ONE OF OUR MODERN CALLIGRAPHY WORKSHOPS! It is no question that Handsome Love Calligraphy’s alphabet is non-traditional. In her alphabet design, Camille, with Handsome Love Calligraphy, has given permission to others pursuing a passion in calligraphy to create an alphabet that is personal to them unrestricted by the constrains of tradition. In her Brush Lettering Workshop, she introduces her students to basic ink to paper pressure and flow techniques. 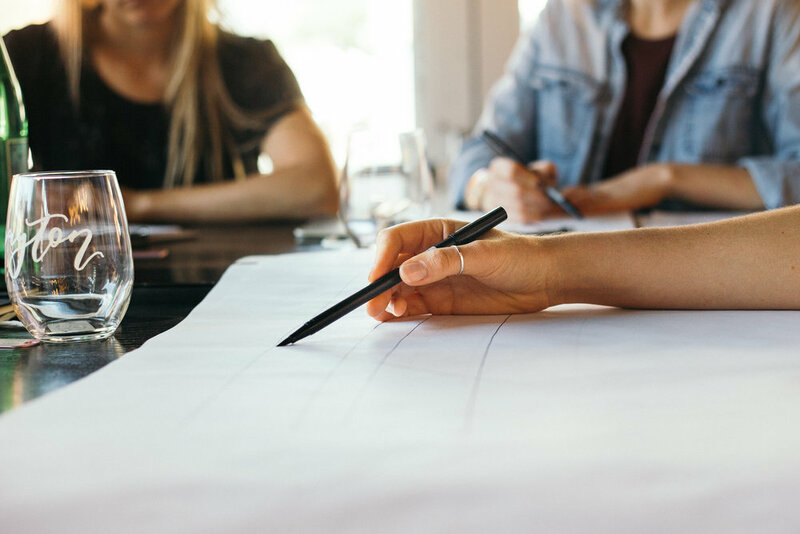 She walks through the alphabet teaching her students basic font patterns providing each guests the building blocks and tools to begin connecting letters together and begin their own modern journey. Take the afternoon, maybe bring a friend along, and begin a new journey with us. UNABLE TO ATTEND THIS CLASS? KEEP CHECKING BACK OR FOLLOW US ON INSTAGRAM @HANDSOMELOVECALLIGRAPHY TO STAY UP TO DATE WITH THE LATEST CLASS SCHEDULE. 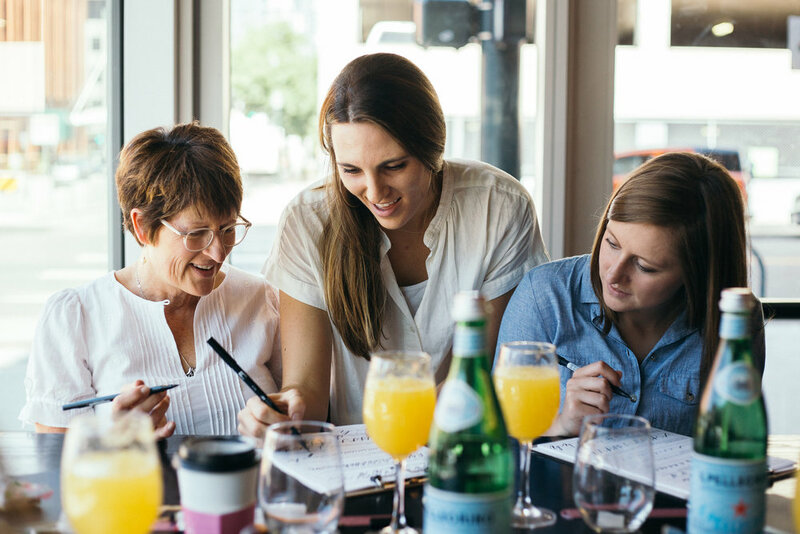 LOOKING TO HOST A PRIVATE CLASS?